Anthem launched about a month ago amid high expectations. We haven’t heard any official sales figures from Electronic Arts yet, though we know the game turned out to be BioWare’s second-best launch ever after Mass Effect 3 in the USA. SuperData Research also pointed out that the game raked in $100 million of digital revenue thanks to an above-average rate of digital purchases. That said, the game itself has received several critiques and fans have been eagerly waiting for updates. This week’s patch should add support for NVIDIA DLSS, for instance, and more importantly the Elysian Chests, a new type of reward available only at the end of Strongholds to incentivize players to keep playing for the entire duration of the dungeons. 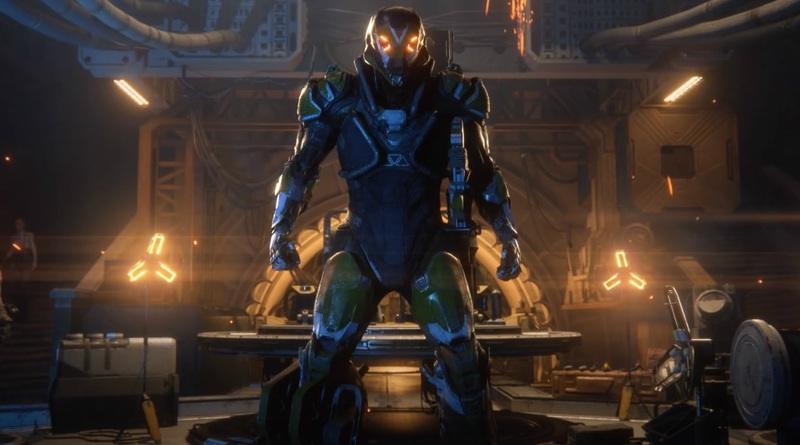 The Elysian Chests will contain cosmetic items and the community had been hoping to see new armor sets added to Anthem since the full game turned out to be quite the disappointment in this area. In fact, pre-release live streams had demonstrated an impressive amount of cosmetic armor sets, yet many of them are nowhere to be found in the live game. Ben Irving, Lead Producer on Anthem, seemed to confirm that the Elysian Chests would include new armor sets on Twitter. However, Lead Systems Designer Chris Schmidt quickly revealed Irving was mistaken in the official Discord channel. The Elysian Chests, as it turns out, will only drop new animations, emotes, vinyls and the likes, but no armor. Needless to say, the Anthem community is far from happy about this turn of events as you could easily notice by hopping on the main subreddit. It does add even more frustration to playing the game and there was already quite a bit of that, as we pointed out in our review. It is frustrating to rate Anthem. The game looks great, plays even better and has an intriguing setting to boot. However, the fragmented world design, overabundance of loading screens and severe lack of content considerably drag down the experience, at least for the time being. Still, this is a live service game after all and the folks at BioWare have the chance to right this ship by adding enough content in the upcoming months, though it won’t be easy. Are you still playing Anthem? If so, how do these issues affect you? Let us know in the comments.